Marco V. Quintana is Senior Vice President and Director with BMO Harris Bank’s Commercial Business Banking Division. In his current role, Marco leads a team of bankers in Illinois, Florida and Arizona, who are responsible for business development with prospective clients and portfolio management of existing clients. The Commercial Business Banking team is focused on opportunities within the C&I space working with companies across different industries. Marco has extensive experience in M&A, Cash flow, ABL, recapitalizations, commercial real estate and New Market Tax Credit financing. Marco has a B.S. in Finance from Lewis University and is a Leadership Greater Chicago 2018 Fellow. 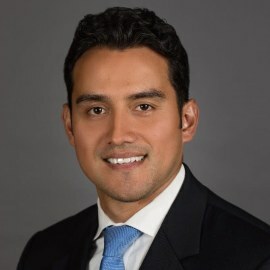 He serves on the board of The LEARN Network of Charter Schools, board member of the Black Investment Fund in Florida and also coaches competitive 18U Volleyball for Ultimate Volleyball Club and collegiate at Elmhurst College.